JOAO PESSOA INTERNATIONAL PRO IS PART OF THE UAEJJF WORLD RANKING AND ABU DHABI WORLD PROFESSIONAL JIU-JITSU QUALIFIYING SERIES. OPEN TO ALL NATIONALITIES, ALL BELTS CHILDREN, YOUNG ADULTS AND MASTERS. Check your name, weight, gender, age, belt and gym. Athletes should make sure that all of their registration information is correct on the fighter's list. All academies must be registered in the UAEJJF for their students to register for the competition. 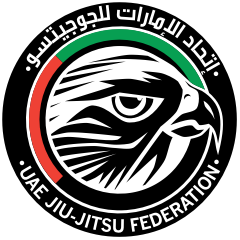 All children and adults of White to Black Belt athletes must be properly affiliated for the current year in the United Arab Emirates Jiu-Jitsu Federation. All documentation must be properly completed when applying your online affiliation. All athletes with pending and / or incorrect documentation will not be able to sign up for the tournament as they must have their application approved first. Please note that this process is done manually by our staff and may take a day or 2 to complete. For more information about registering your gym: Academy Registration. Any false information provided during registration, such as DOB or Nationality, but not limited to; It may have an immediate disqualification; Such shares are subject to suspension or even banning future UAEJJF events. Depending on the number of athletes in the tournament, some classes may not have split. Athletes are not allowed to jump on fences / barricades in the competition area. Be sure to arrive at the event at least 45 minutes before the support is scheduled. You must be warmed up until the moment your support is called. Be sure to listen to split calls on the PA system in the Warm Up area. At the designated time, go to the warm-up area, using your GI and with a photo ID or badge credential. After the Bracket Manager's call, he will take you to the concentration area to wait for your time to fight. The Mat Manager will take you to the competition area for your fight. DO NOT stay in the competition area after the fight is over. Return to the concentration area and stay there until the carpet manager calls you to the next round if you have won your previous match. Be respectful to the staff, employees of other athletes and coaches. In turn, they will show you the same courtesy. Be respectful to the referees, showing consideration and appreciation for the performance of their duties. All disputes relating to matches must be resolved by the Referee. Any decision of the Referee shall be final. Direct all questions to tournament staff on the administration table. We will do our best to answer your questions as quickly as possible. Be patient with the questions as there are many competitors in the event. As such, we remain occupied throughout the day. Keep your belongings. We can not be responsible for lost or stolen items.